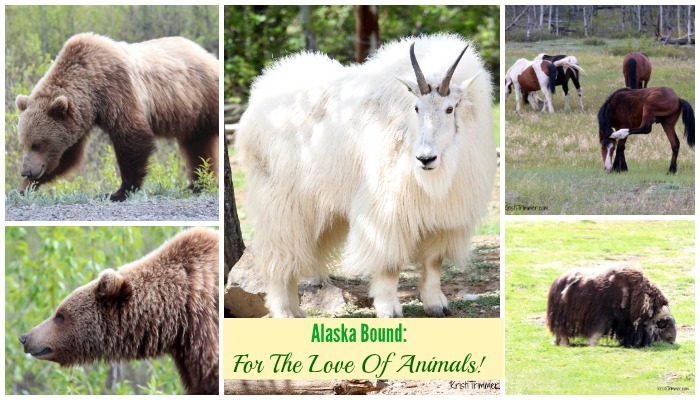 Alaska Bound: For The Love Of Animals! I came to Whitehorse after driving eight hours on the Cassiar Highway. The Cassiar is a very beautiful drive up through British Columbia. There is absolutely no cell service or WiFi for eight hours of this trip. The road was rough but the views were amazing. There will be a second post about the other beautiful things I saw on that drive, this one though, is just for the animals. I tried Couchsurfing.org for the first time and had the best host that I could have imagined in Oliver. He was a scientist who has studied bears, wolves, and fish. We talked for hours and honestly, I could have kept talking to him even more. Fascinating topics on some of my favorite things – animals! 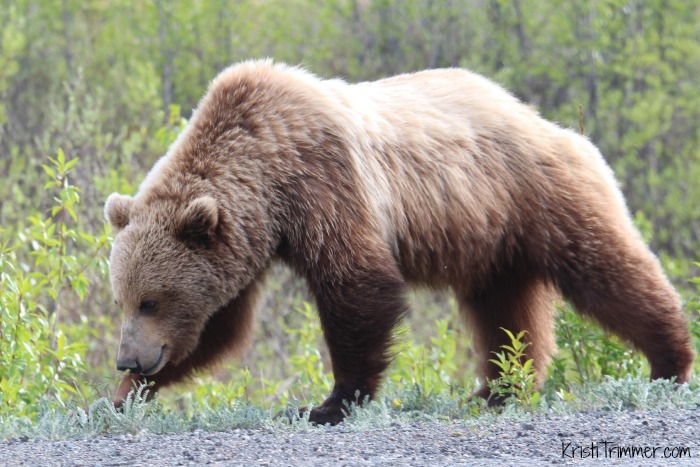 When I left Whitehorse all I wanted to do was let my mind relax and see some animals along the way. Ever see a MuskOx? 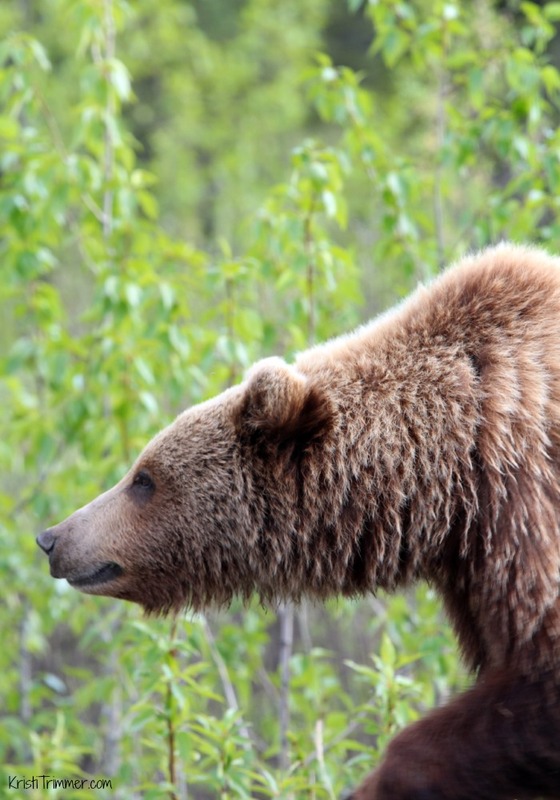 Me either – these big guys are taken to the Yukon province of Canada and can handle some tough, cold winters. Look at these pics of mountain goats I captured. I am so in love with that beautiful white coat! Such beautiful animals! 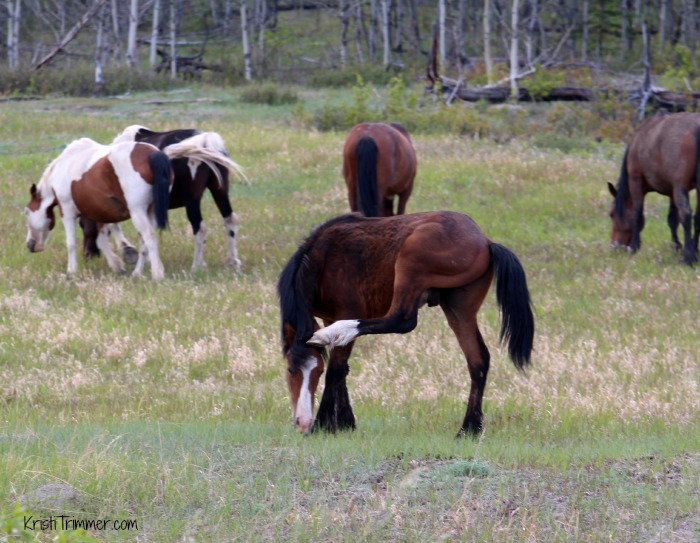 I saw a herd of wild horses off to the side and pulled over. This guy needed help with that itch. I SO wanted to help him out! Doesn’t he look adorable?!? I had been driving for hours and hours and was getting tired. It was about 8pm and I see a brown spot on the side of the road. 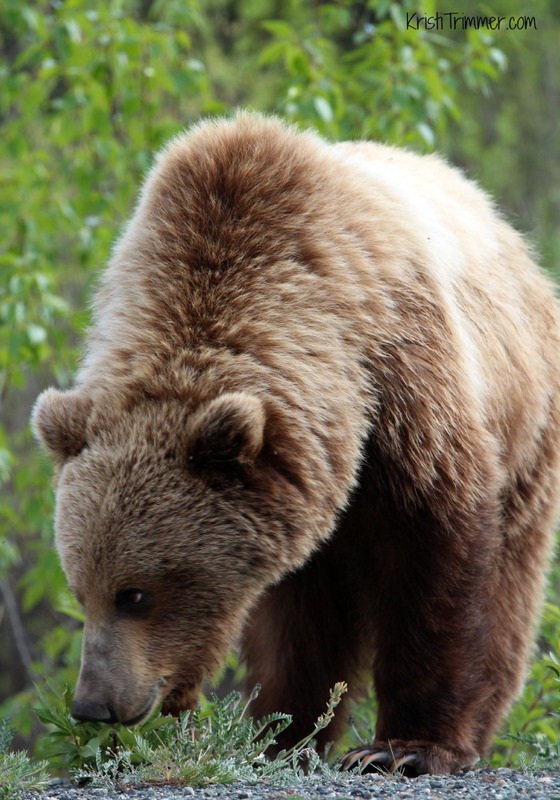 A GRIZZLY BEAR!! Yay!! I pulled over and started shooting as many photos as I could. I even got video of the big buy to share with you in a bit. But look at this guy!! I think he just wanted a bear hug. This pic cracks me up… like he is searching for a cookie! I love this shot of his big nose looking for his favorite dandelions. A Muskox! I almost can’t believe that’s a real animal. Nice pics!